Selkirk- Irene A. Bagley-Carkner-Jensen, 85, passed away on September 9, 2018 at St. Peter’s Hospital in Albany, NY. The daughter of the late Roy and Loretta Bagley, she was born on June 25, 1933 in Albany, NY, one of twenty-one children. 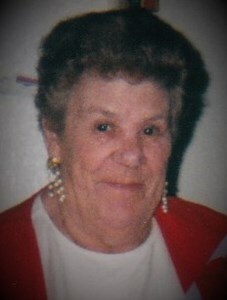 Irene was a tremendous cook and was an avid bingo player. Irene is survived by her children: Charles (Christine) Carkner, Jr., Loretta Carkner, Minard Carkner, Sr., Gloria Gagle, Charles Jensen, Jr., Dee “Punkin”Derington; her grandson and caregiver, Ronald (Tammy) Hayes; and many grandchildren, great-grandchildren, siblings, nieces, nephews, cousins and friends. In addition to her parents, she was predeceased by her first husband Charles Carkner, Sr., her second husband Charles Jensen, Sr., and her son Norman Jensen, Sr.
Visitation will be from 4 pm to 7 pm on Wednesday, September 12 at New Comer Cremations & Funerals, 343 New Karner Road, Colonie. A funeral service will be at 6:30 pm, celebrated by her son Rev. Charles Carkner, Jr. Burial will be at 10 am on Thursday, September 13 at Elmwood Cemetery in Selkirk, family and friends are welcome to gather at the funeral home at 9:00 am. Add your memories to the guest book of Irene Jensen.